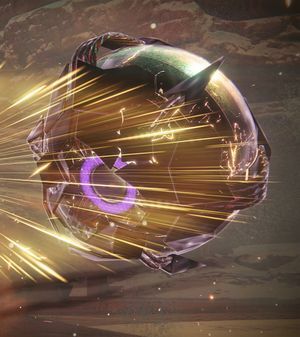 Splicer Servitors are SIVA-infused Servitors that bring artillery-style suppressive fire to the battlefield using their own directed energy weapons, and are relied on for their ally-healing abilities. Splicer Servitors have a more defined role as an offensive tank. Not only do they retain their ally-healing and teleportation abilities, but their eye blasts are a lot more difficult to dodge because they have a higher rate of fire, some degree of tracking, more velocity, and a longer range. This can make it tricky to counter this type of Servitor.